Our Family Faith Walk: Change Drive PRIZE!!! Oh my gosh how exciting!!! 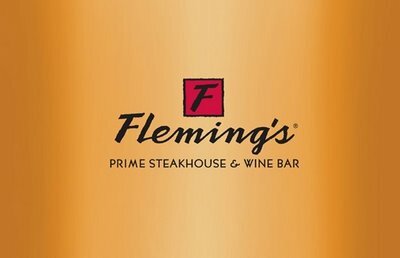 Two people who are near and dear to my heart have donated a $100 gift card to Flemings for the winner of the Adoption Change Drive! How amazing!!! After tomorrow's bottle drop offs I'm making, we will officially be OUT OF BOTTLES!!! This is an amazing thing, I am praising God over it! We would like to keep the overhead cost down, so we won't be buying more bottles, but if you want to participate in the Change Drive you don't need a bottle! I am going to post below what the tag says and you are welcome and encouraged to print it out and put it on your container of choice, be it a jar, a bowl, or a freezer bag! Even if you aren't collecting change, we would love for you to stick this on your fridge as a reminder to pray for our family and our birth family. This is an awesome prize and it will go to whoever collects the greatest amount in change by November 10th! We are so excited and so grateful to the people who donated this for our fundraiser. I cried happy tears and am so grateful the Lord provided that before we even figured out to ask Him!! Here is the tag we've been placing on the bottles, if you aren't participating in the Change Drive we would so love your prayers right now! We're praising God for how He is working, and asking Him to take us step by step without anxiety. Please be praying for our birth mama, whoever and wherever she is. My heart aches for the choice she is going to be faced with and I know the pain letting go of a baby when you desperately want to hold them forever. Please be praying for her heart and for God to comfort her and prepare her heart even now. "And anyone who welcomes a little child like this one on my behalf is welcoming Me."